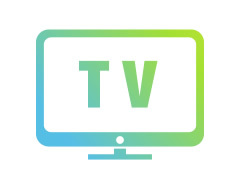 March 2019 (TBC) up to and including March 2020 (TBC) for TV & VOD, all forms of internet / online use. Separate options for years 2, 3 & 4 – to be negotiated if required (10% uplift each year). Press advertising – to be negotiated separately if required. Client and Agency websites /showreels /Agency and Production company self-promotion (e.g showreels including on the internet). Use of behind the scenes stills or video (time length unrestricted). Director’s & Agency cut (time length unrestricted). PR and non-theatrical uses to be in perpetuity. Our talent are not necessarily dancers or musicians they can also be actors, entertainers, performers with great personality. They need to give us interesting/entertaining/unexpected moves and feel confident doing this even if its your good old wedding or dad type dance! Remembering they will have to incorp their ‘imaginary’ air instrument. We are looking for Diverse Talent that are different shapes & sizes, good faces & characters.